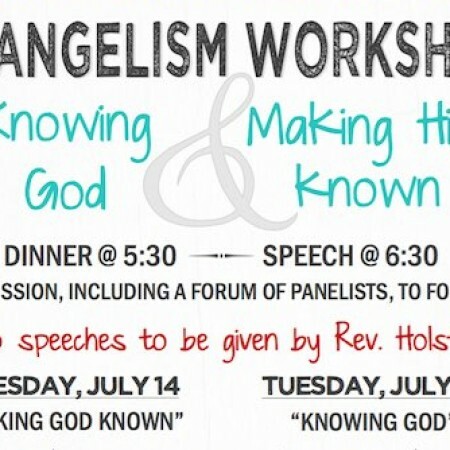 First Protestant Reformed Church of Holland will host two evangelism workshops this summer: Knowing God, and Making Him Known. 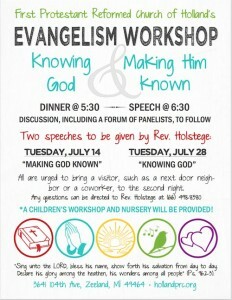 Each evening will include a message from our pastor (Rev. Daniel Holstege) and a forum where a panel of speakers will answer questions from the audience. If you’re not a member of our church but would like to attend (free! ), please contact us online or call 616-498-8380. Questions or comments? Please leave a public comment below, or contact us privately. Were the Creation days longer than 24 hours? 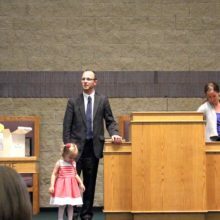 May one take back a spouse who has divorced and remarried?